Flutist Leslie Stroud, active as both an orchestral and chamber musician, performs in a wide range of ensembles and musical styles. 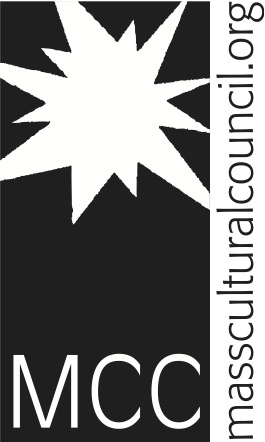 Ms. Stroud is particularly dedicated to bringing audiences an eclectic musical mix ranging from music of the 18th century played on historic, period flutes to adventurous works featuring the composers of our own time on modern day flutes. Noted by the the New Bedford Standard Times for her “virtuosity” and “excellent solo flute work,” Ms. Stroud has appeared with the New Bedford Symphony Orchestra, Opera North, the Plymouth Philharmonic, the Annapolis Symphony Orchestra, the Savannah Symphony Orchestra, the Baltimore Chamber Orchestra, the New Bedford Festival Theater Orchestra, the Buzzards Bay Musicfest, the Tri-County Symphonic Band, and the San Francisco Concerto Orchestra. 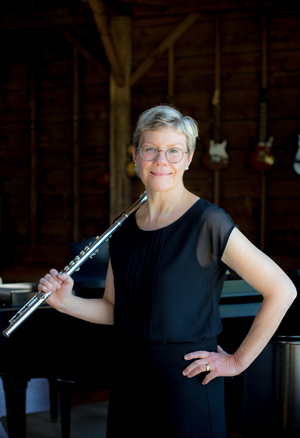 As a chamber musician, she has performed with the Peabody Wind Quintet, Concert Artists of New England, Sterling String Quartet, and Trinity Chamber Concerts. Regularly presenting adventurous duo works for flute and piano, Ms. Stroud and pianist Matthew Odell’s performances together include Dartmouth College, the Opera House at Booth Bay Harbor, Pentangle Arts Classical Series, ArtisTreeCommunity Arts Center and Gallery, the Eliot Church of South Natick (Boston), Plymouth State University, and in residence as Tomlinson Fellows at Tabor Academy. Ms. Stroud is particularly dedicated to music as a vital part of our whole community. Whether performing in support of local non-profit service organizations providing food, shelter and sanctuary to persons in need-as a founding member of Cameo Arts Foundation, Inc. (www.cameoarts.org)-or as a founding member/performer of the innovative New Bedford Symphony Orchestra program SchoolsMusic!, Ms. Stroud is a passionate advocate of merging music, education and advocacy in our everyday lives. She has taught at Tabor Academy, the St. Paul’s School for Girls and the Center for Talented Youth, Johns Hopkins University. Born in Oakland, California, Ms. Stroud began her flute studies at the age of eight at the San Francisco Conservatory of Music, going on to obtain her performance degree at the Peabody Conservatory of Music. Her teachers include Yaada Weber, Timothy Day, Britton Johnson, Walfrid Kujala, and Gary Schocker. Ms Stroud will be performing as a guest soloist in the Tri-County Symphonic Band's February 10, 2019, “Going Green” concert.